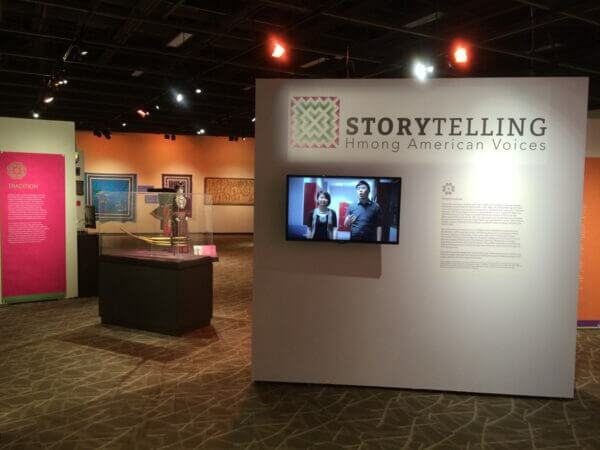 NIU’s Pick Museum of Anthropology has launched a new collaborative exhibition, “Storytelling: Hmong American Voices,” to run through December 2016. A special opening reception featuring refreshments and live music will be held 2 to 5 p.m. Saturday, April 9, at the museum, located in Cole Hall on the NIU campus. The event is free and open to the public. Co-curated with a 20-member Hmong Community Advisory Council, the exhibition explores what it means to be Hmong American. How has Hmong life changed since refugees first entered the United States in the 1970s? What does it mean to be Hmong American today? 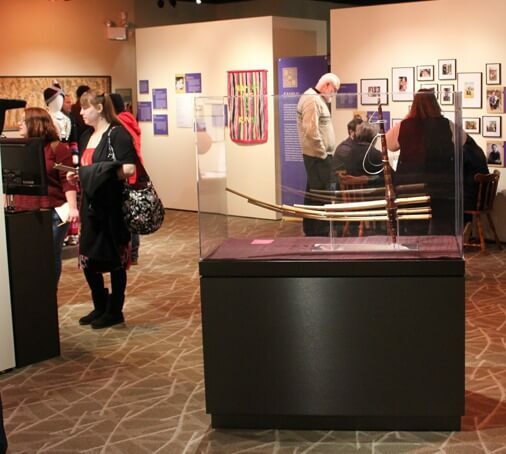 Through objects, audio recordings and personal stories of Hmong Americans, this exhibit immerses visitors in the material culture and social issues of Hmong American communities. Included in the exhibition are memories and experiences of particular Hmong families who came to DeKalb in the 1970s and later moved to rejoin family members in other parts of the Midwest. Long Yang remembers arriving in DeKalb from Thailand on Jan. 2, 1979. Visitors to the exhibition will be able to view traditional Hmong clothing, learn about concepts of family and memory, play Hmong music on a Qeej-Hero interactive game, see beautiful Hmong storycloths from the museum’s collection and learn about the distinct sewing traditions. Paj ntaub, the Hmong word for “­flowery cloth,” is used to describe a variety of intricate Hmong textiles. While living in refugee camps in the 1970s, women invented story cloths, a unique type of decorative textile they could sell to financially support their families. This new style of paj ntaub uses small, colorfully embroidered figures to tell stories about Hmong life, traditions and history. Musical instruments. The qeej (pronounced GHENG) is an ancient wind instrument that the Hmong people have played for thousands of years in celebrations, for entertainment, and in funerary rites. Traditionally constructed entirely by hand, the qeej is fashioned from a vertical resonator built from hollowed-out hardwood sections pierced by six differently sized bamboo pipes (ntiv) that are tonally connected to the Hmong language. Silver jewelry. Traditionally Hmong people wear elaborate jewelry made of alloy and or silver melted from old French coins. The coins are often attached to colorful and elaborately stitched sashes or bags worn around the waist. Contemporary Hmong silverwork combines traditional motifs with modern aesthetics. In 2012, the museum was relocated from the Stevens Building to nearby Cole Hall, where a new state-of-the-art facility delivers invaluable engaged-learning experiences for students and community members alike. Now home to more than 20,000 ethnographic and archaeological objects, the museum planned its golden anniversary celebration to remember its history, strengthen the NIU campus and community relationships and spotlight the contemporary relevance of anthropology. The museum specializes in cultures of Southeast Asia, New Guinea and the Southwest and Plains Native Americans, but also holds smaller collections from Africa, modern Greece, Mesoamerica and South America. Strengths include textiles, baskets and ceramics from throughout the world. With a dynamic schedule of exhibitions and programs, the Anthropology Museum is a cultural destination for residents and visitors to DeKalb. The Museum is open from 10 a.m. to 4 p.m. Tuesdays through Fridays and from 10 a.m. to 2 p.m. Saturdays. Admission is free and all are welcome. For more information, contact museum director Jennifer Kirker Priest at (815) 753-0230 or jkirker@niu.edu. Previous Post:The exuberance! The glamour! The art!